Lightweight Design - HERE, experts make light work of innovations. The car of the future is above all else a resource-saving vehicle. Modern lightweight construction faces new requirements: due to the objective of reducing energy consumption, and due to the challenges that new types of drive pose for the mobility of the future. The industry sectors of aluminium and composites play an essential role in this. But it has long since been the case that the questions of the lightweight construction of the future can no longer be answered with a single material. Saxony-Anhalt is working on new solutions in the areas of metal working and processing and in the field of plastic and new materials. You will find more lightweight Design innovations from Saxony-Anhalt HERE. Centre of Excellence for Aluminium. In the Harz region in Saxony-Anhalt, a centre of know-how for aluminium has developed. The casting industry in Saxony-Anhalt and especially in the Harz has been successful for more than 100 years. The existing know-how creates visionary product and process development. 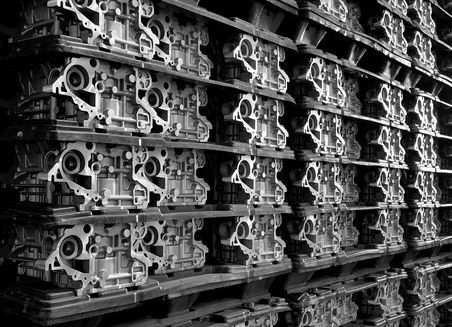 Numerous aluminium producers and processors are based in the Harz region, such as for example Trimet Automotive, Nemak Wernigerode, KSM Castings, and CST. 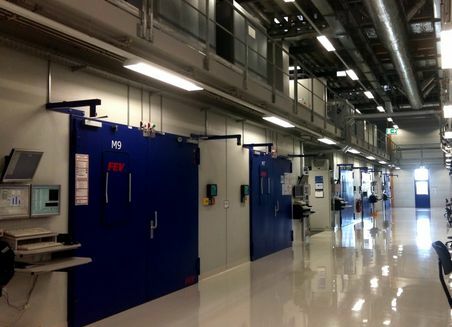 The Technology and Start-up Centre Creativity and Competence Centre Harzgerode (CCC) operates a laboratory for the development of innovative processes in aluminium die-casting. 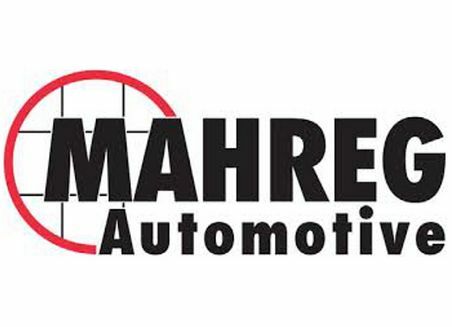 The Cluster MAHREG Automotive is a leading member of the competence cluster “Aluminium” in the Automotive Cluster of Eastern Germany (ACOD), which bundles expertise in alloy development and innovative casting processes. Numerous companies and research institutions from Saxony-Anhalt have made a name for themselves in the field of fibre composites. 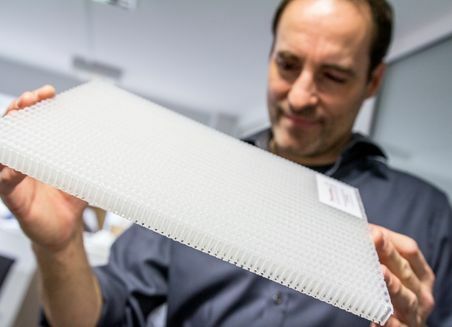 With the Centre for Fibre Composites and Lightweight Engineering (ZFL), the innovation centre “InnComposites”, and companies such as IFA Composite, Haldensleben is having an effect nationally and internationally. The Industrial Laboratory of Functionally-optimised Lightweight Design of the Magdeburg-Stendal University of Applied Sciences is devoted to basic research and technology transfer in the fields of the fibre plastic composites (FPC), adhesive technology, and general lightweight construction. Thanks to its large-series plant, the Fraunhofer Pilot Plant Centre for Polymer Synthesis and Processing PAZ in Schkopau offers its customers the possibility of innovative lightweight construction solutions as close as possible to the industry standard and thus bringing them onto the market more quickly. Location of excellence for the development of new materials. 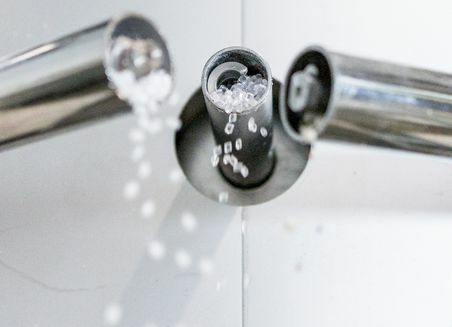 The Fraunhofer Institute for Microstructure of Materials and Systems IMWS in Halle (Saale) researches solutions in the field of materials science and engineering technology with the aim of increasing material efficiency and profitability and saving resources. You will find more smart materials innovations from Saxony-Anhalt HERE. RAPID Leichtbau GmbH is a specialist in the manufacturing of weight-reduced box bodies and has developed into the market leader in payload maximisation. Because nobody is lighter! With the body concepts of RAPID lightweight construction, a weight reduction of more than 500 kg can be achieved, which provides substantial added value for the user and at the same time saves costs. Depending on the chassis and body size, 30% higher load capacity can be achieved. This means: more load in the same space. RAPID box bodies are at the same time sturdier than products made of comparable lightweight materials. The plastic elements used are welded into a sturdy body before mounting on the HGV. This elaborate process is unique in Central Europe and guarantees maximum stability with low weight. All big-name vehicle manufacturers (e.g. Mercedes-Benz, Peugeot, Volkswagen etc.) trust the quality of the company. 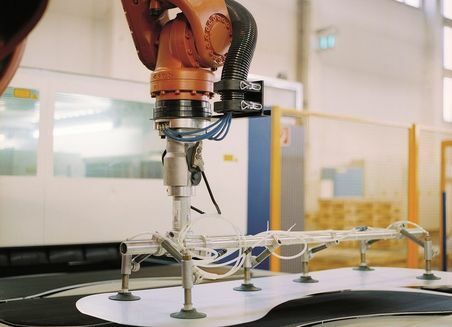 RAPID-Leichtbau has also attained a high level of system competence in lightweight construction with its own development and production of innovative composite materials. Innovations are made light work of HERE - topic page on our main theme of lightweight construction. HERE Materials have intelligence - topic page on our focal subject of smart materials. With the construction and design of prototypes, assemblies and complex assembly jigs, fixture construction provides the ideas and conditions for innovations in automobile construction. Fixture construction here accompanies new models and designs from the idea to the first prototypes to the small series. New process and production technologies are developed and implemented in close cooperation between universities, research institutes, tool and machine manufacturers, and automotive suppliers. Materials are being optimised, manufacturing processes made more efficient, and production flows improved. The new technologies are applied in enterprises in Saxony-Anhalt or established in companies around the world via technology transfer. 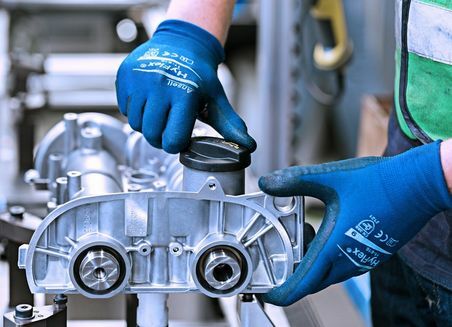 In the north of Saxony-Anhalt, the company Vorrichtungsbau Giggel GmbH develops prototypes and micro-series products for the automotive industry. The company supports all of the major OEMs and vehicle manufacturers with the development of pioneering components for the next generation of vehicles. 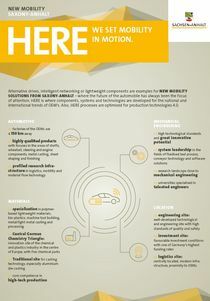 Above all, the use of new materials is especially important in this field of New Mobility. 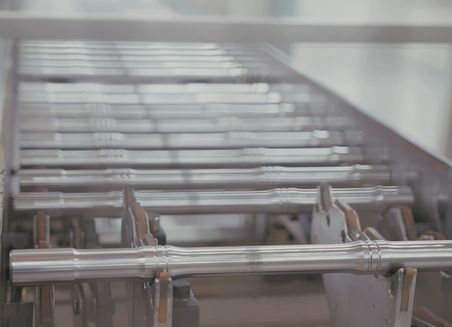 Autobody structures, battery holders, and cooling systems for fuel cells are increasingly being manufactured from malleable sheet metal or grades of aluminium whose strength nears that of steel. Vorrichtungsbau Giggel GmbH develops new products all the way from the test bench to market maturity for its customers. The latest highlight: in cooperation with MIFA, the industrial designer Martin Wiesner, the Harz University of Applied Sciences and the IKAM Institute, the company has developed the prototype of a chainless e-bike. Drive and traffic systems are being re-thought in Saxony-Anhalt. Thanks to technical innovations in this area, the state is in the process of establishing itself as a research and production site for drive technologies. With its expertise in the area of electric drive systems, Saxony-Anhalt is making a successfully entry into the end customer market for automobility and special vehicles. Saving lives with design: a task which is fulfilled by the ambulance of the future. And this is a project to which the company Ambulanz Mobile from Schönebeck has made a major contribution. The company develops unique concepts for ambulance vehicles. An aerodynamic roof structure with an integrated blue light not only provides for a modern and elegant look, but also results in fuel savings of at least two litres per 100 kilometres. But such factors only indirectly result in the saving of lives. The interior of the ambulance is the actual safety factor. The auxiliary equipment for the emergency team is stowed away securely and is easily accessible, making the TIGIS rescue vehicle, which was developed in Schönebeck, one of the safest in Europe. And the design of the vehicles isn’t the only pioneering factor. In collaboration with Otto-von-Guericke University Magdeburg, Ambulanz Mobile is developing the first ambulance with a hybrid engine for the rescue operations of tomorrow. A company from Wernigerode that develops electric engines for highly specific requirements is attracting attention with the slogan “Krebs & Aulich – peculiar electrical machines”. This company from Harz was one of the first to focus on the future market of e-mobility. Almost ten years ago, a field experiment was launched together with the Fraunhofer Society in which fourteen Audi A2 were converted to electrical drives. “We regularly check the twelve still running Audi A2, which are used by private people, administrations, and companies. The results are incorporated in the further development of the electrical drive concepts”, says Krebs & Aulich Managing Director Martin Sobczyk. The core business of the company, however, is the manufacturing of drives for automobile test benches. “Everyone who develops automobiles, drives, or components for it tests these with machines from Krebs & Aulich”, says Sobczyk with pride. The company is globally regarded as the technological leader of the industry and is often asked for advice on research projects. To meet the rising requirements, Krebs & Aulich is currently developing a new generation of test-bench engines, based on the latest calculation and simulation methods. “Our objective is to have even higher-performance, more efficient test-bench engines individually adapted to the customer”, says Sobczyk and draws attention to another research project: Together with the Magdeburg-Stendal University of Applied Sciences and three producing companies from mechanical engineering and metalworking, Krebs & Aulich GmbH is developing a new type of technology for the manufacturing of test-bench engines. The aim is to achieve effective and practicable production with the highest quality standards, especially for the rotor. The company’s own research and development department has since grown to 16 employees. The company is present in China. Since 2016, Krebs & Aulich has been operating its own branch in Shanghai, in order to handle distribution and service on site in the “Middle Kingdom”. Businesses from Saxony-Anhalt are literally putting alternative drive concepts on the test stand. Active contributors to the mobility revolution from Saxony-Anhalt are researching and developing innovative drive concepts for efficient and environmentally friendly means of transport. The Scientific Technical Centre for Engine and Machine Research (Wissenschaftlich-Technisches Zentrum für Motoren- und Maschinenforschung) in Roßlau, for example, is currently focusing on the energy source of gas. 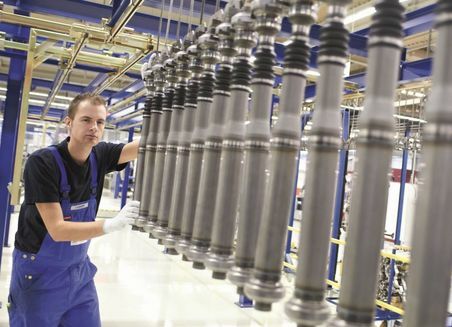 The company Krebs & Aulich GmbH in Wernigerode focuses on drive systems for e-mobility. The Endurance Testing Centre in Brehna, which is part of the FEV Group, is expanding its range with new test stands for electric drive systems. The testing centre is one of the most advanced in the world, and marking its fourth stage of expansion, it has now invested more than 90 million Euros in Saxony-Anhalt since it originally opened in 2007. "When the new AIDAnova sets sail, it will be the first cruise ship to be entirely powered by environmentally friendly liquid gas propulsion," explains Titus Tschalamoff. He has placed great faith in the performance of this, the latest generation of marine engine – after all, he was responsible for its initial test runs. "As a single-cylinder experimental engine," Tschalamoff adds. Titus Tschalamoff leads the department for engine research at the Scientific-Technical Centre for Engine and Machine Research Roßlau (Wissenschaftlich-Technisches Zentrum für Motoren- und Maschinenforschung) – WTZ for short. The three-letter acronym actually dates back to the early 1960s. It was in Roßlau that giant-sized systems once stood on huge test stands – engines for ships, locomotives and cogeneration power systems, mostly designed for customers in Eastern Europe. Titus Tschalamoff joined the enterprise in the early 1990s, just as its sales markets were collapsing. "Despite that, the staff team had an excellent amount of know-how and expertise that they had gained over the course of the decades," emphasizes the graduate of engineering, who was there when the WTZ was successfully privatised in 1994. With its keen sense of vision, the WTZ is active in the field of climate protection and has found the niches that it now occupies with its three letters. The company focuses on the energy source of gas. "The emission regulations can certainly be fulfilled with the use of gas-powered engines," explains Tschalamoff. 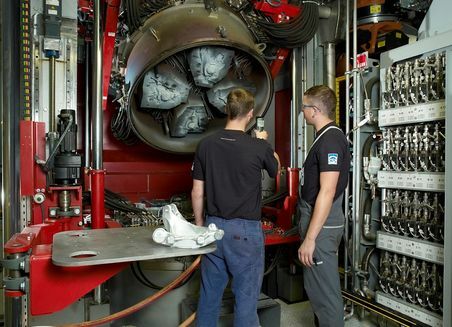 The first natural gas engines were first tested in Roßlau 30 years ago. "As a scientific and technical centre, it goes without saying that we make use of the state research funding which is available," says the manager of the research department. And renewable energies are consistently a key topic for the WTZ and its 60 employees. Carsten Tietze, who studied mechanical engineering, has been working in the company’s in-house design department for more than ten years. Engines running on rapeseed oil or pyrolysis oil from organic waste, or even from shredded car tires, have already been put on the test stand. "Customers bring us their engines and the newly developed fuel. We then test and optimise the engine so that it operates with the fuel effectively," explains the graduate of engineering. “When a manufacturer develops an engine, they are certain to know all about the General Administrative Rule on the ‘Technical Instructions on Air Quality Control’, but it is frequently the case that the customer-specific requirements only become clear during the actual process”, explains Carsten Tietze. That includes the increasing levels of public acceptance for hydrogen. Hydrogen from renewable sources of energy is increasingly being seen as an energy source of the future. The WTZ has been a member of the Central German Research Alliance HYPOS – Hydrogen Power Storage & Solutions East Germany for several years. 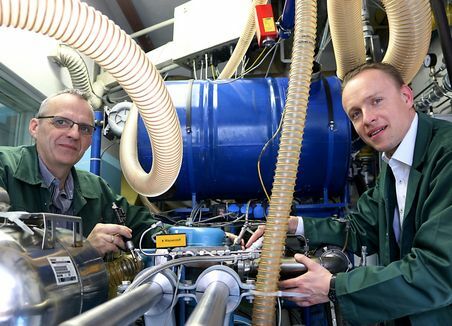 The LocalHy research project, which was launched by the WTZ, is addressing the development of a hydrogen-oxygen-engine which doesn’t produce any exhaust emissions. A test engine of this kind is currently on the test stand in Roßlau – it is small and compact, and yet to be one of the "giants". So far, all of the research has been carried out on a single-cylinder engine, explains the expert Titus Tschalamoff, who goes on to discuss a reference system which the Scientific-Technical Centre for Engine and Machine Research is intending to develop from it. Carsten Tietze certainly knows from first-hand experience that the levels of interest in the energy-related use of the waste gases which arise in a wide variety of manufacturing processes are growing worldwide. It was 19 years ago that the WTZ originally launched the "Dessau Gas Engine Conference". As a trend barometer, the conference which also serves as a discussion and networking forum now has a large number of national and international participants. 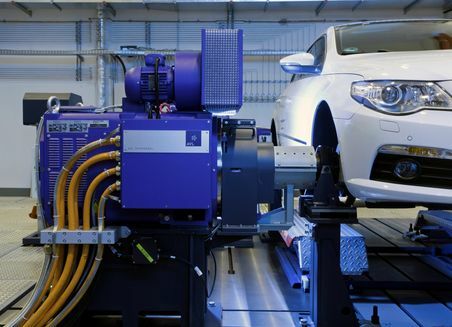 The FEV Continuous Running Testing Centre in Brehna near Halle (Saale) also has alternative drive systems on its test benches: Seven test benches are operated for electrical drives in addition to those for fatigue tests on conventional combustion engines. Its 200 employees are breaking new ground in the handling of electricity, says Hans-Dieter Sonntag, one of the FEV managing directors. He emphasises the growing demand. 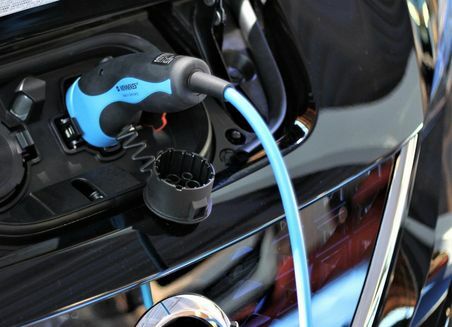 Many of his customers, including big-name automobile manufacturers, are investing in the pure form of electromobility and thus in the mobility change. On the way there, says Hans-Dieter Sonntag, the FEV Continuous Running Testing Centre will also take the intermediate step and test hybrid drives. In addition to battery-based electromobility, hydrogen technology is also gaining considerable influence on mobility. 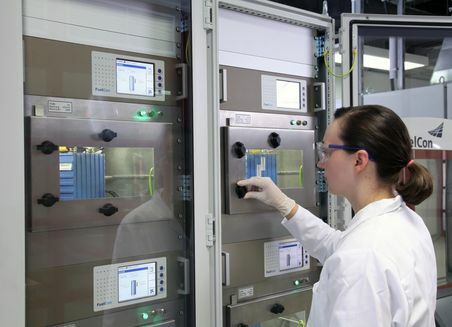 Saxony-Anhalt is here excellently positioned in the field of storage solutions and with its long-time testing centre for fuel cells and batteries. The project HYPOS (Hydrogen Power Storage & Solutions East Germany) is devoted to regenerative hydrogen production, storage and distribution, and operates a demonstration plant for hydrogen electrolysis. In 2018 the “Centre for Method Development” (CMD) was brought into being. The development centre, which will be settled at the Otto von Guericke University Magdeburg, will carry out research into innovations in the area of electromobility, and on the reduction of emissions and fuel consumption. Furthermore, locally based companies are given the possibility of testing newly developed products on test benches. The energy revolution is raising several questions. The company Tesvolt Speichertechnologie GmbH from Lutherstadt Wittenberg, Saxony-Anhalt, has some answers – particularly for trading businesses, industrial companies and municipal authorities. The start-up company develops battery storage systems for electricity generated from renewable resources and has gained a foothold on the international market. At the trade fair HANNOVER MESSE 2017, Tesvolt will be presenting an energy storage battery which is of the latest generation. Mathias Zdzieblowski places photos of a Tesvolt project on the table: a giant-sized storage system is bathed in the red-coloured light of the sunset in Africa. “Tesvolt” is emblazoned on the engineers’ overalls. The technology from this young company from Lutherstadt Wittenberg is being used in order to store energy generated from natural resources and guarantee a stable supply of electricity – a huge boost for regions in which reliable power networks are frequently unavailable. Mathias Zdzieblowski is the company’s Key Account Manager. He manages Tesvolt’s important customers. “We developed this mega storage system together with a team of engineers from Africa. It supplies electricity to water pumps and sprinklers on a continuous basis, irrigating a 2,000 hectare plot of land,” he explains. Agricultural businesses are currently developing which are set to provide some 1,200 farmers with both work and food in the near future. Daniel Hannemann is the Business Director at the company that he founded together with Simon Schandert, the current Technical Director, in 2014, with the goal of further advancing the use of renewable sources of energy – solar power, wind power, hydropower and biogas. Their starting capital included their in-depth experience they gained from several years spent working in the photovoltaic sector. “With its international projects in the area of energy storage, Tesvolt GmbH is an example of commercial success.” Such were the words of the congratulatory speech when the company was awarded the Hugo Junkers Innovation Prize of the Federal State of Saxony-Anhalt in 2016. “We also see ourselves as being a pacemaker for our customers’ commercial success,” says Hannemann. Tesvolt currently has projects in Germany, Siberia, Kazakhstan, Indonesia, Great Britain, Spain, the Philippines – and, of course, Africa. In Mali, 50 battery storage units are now supplying 50 villages with electricity. The inventors of the battery, Nikola Tesla and Alessandro Volta – after whom the young company is named – would have certainly been as impressed as the expert jury of the Hugo Junkers Prize which awarded Tesvolt with first place in the category of "Innovative product development". The company’s lithium-iron-phosphate-based batteries are characterized by their considerable efficiency of 92 percent and their service life of approximately 20 years. "We have developed a battery management system which distributes the stored energy more efficiently and quickly between the cells. When charging and discharging our battery systems, almost no energy is lost, as the energy flow doesn’t flow from cell to cell, but each cell is controlled directly by the system," explains Daniel Hannemann. 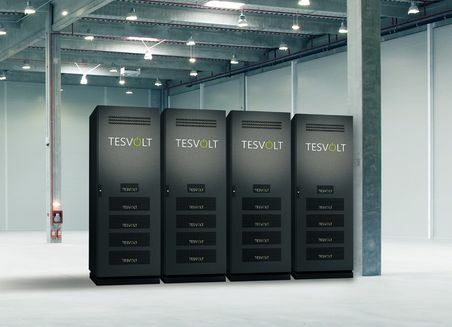 The Tesvolt team, which now counts some 30 employees, is rising to the challenge of the energy revolution by creating storage solutions that are specifically designed for trading businesses and industrial applications. 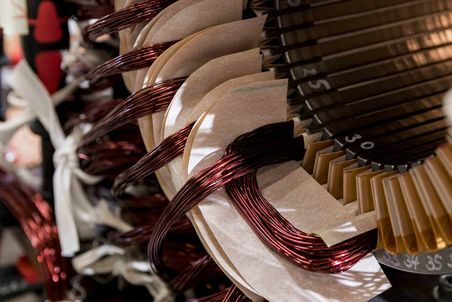 The battery management systems designed by the innovative company from the town of Wittenberg can be connected to all generators of renewable energy in the low-voltage supply network. Their sizes range from small cabinet units, the shelves of which can contain any number of batteries, to full-size container units. “The discussions that we have had at the trade shows we have attended demonstrate clearly that a change has taken place in our customers’ outlook. Business owners no longer want to be exposed to variations in the price of electricity,” explains Mathias Zdzieblowski, adding that it is more financially lucrative for independent generators of electricity from solar or wind energy to store the electrical power for their own requirements than to sell it. In addition to this, it is also possible for long-term storage systems to operate as emergency power systems and to back up possible sub-areas of production. So far, 2017 has been a year of progress for Tesvolt. Together with Samsung SDI, the company has developed a battery module system with a life span of 30 years. “BMW is using this battery in its electric cars – and we are using it in our new storage system,” explains Daniel Hannemann proudly. He demonstrates the battery, which consists of individual modules – the battery cells – with which the customers are able to create the capacity that they require. You certainly can’t tell the sensation that these modules amount to just by looking at them. “Our new storage battery has an effectiveness rate of an unbelievable 98 percent, because we have also optimised the charging currents from module to module. At the same time, our battery management system monitors the status of each individual cell. In this way, it is possible to prevent damage from happening in advance,” explains the company’s director. The latest batteries and energy management systems are key requirements for the mobility of the future. Analyses of their service life, performance, degradation and cycle stability form part of the tests completed by HORIBA FuelCon GmbH. With test benches for AIRBUS, Audi, BMW, BOEING and other OEMs, the company is a leading manufacturer. Its products range from small cell test benches, large fuel cell systems, to large battery packs that are used as a traction battery for motor vehicles. HORIBA FuelCon GmbH has been an expert in the area of high-performance solutions for several years. On the basis of test parameters of -40 °C to 120 °C on battery test benches and the TrueData impedance analysis unit, the determination of precision measurement data is possible. Charging and discharging, again and again. In professional terms: replenishing an energy carrier on a continuous basis and converting it into electrical energy with a chemical reaction. Also known as "cold combustion", this process describes the general functionality of a fuel cell. "We have now been testing the lifetime of a fuel cell of this kind for more than one-and-a-half years, in the form of a time lapse," as Dr Stefan Schünemann explains. He isn’t able to predict when the testing will be complete, however, i.e. when the cell loses its capacity. Stefan Schünemann is Managing Director of the Institute for Competence in AutoMobility – IKAM GmbH, which has two locations: in Magdeburg and at Barleben Technology Park. The company sees itself as the interface between science and industry in the automotive sector. Together with businesses from Saxony-Anhalt, IKAM tests products from various commercial fields, including electric mobility. In this respect, IKAM manages and oversees strategic collaborations between the participating partners, explains Stefan Schünemann. At IKAM, fuel cells and battery cells are tested. Both technologies have fundamental differences: the battery is a storage medium for energy, while the fuel cell is a converter of energy. In this context, a fuel cell produces electricity from hydrogen or methanol, for example. "The principle works," explains Stefan Schünemann, "but at the moment it is still too expensive." This means that the manufacturing of cost-effective fuel cells on the basis of mass production remains a future goal. Stefan Schünemann is working with his partners on its achievement, however. BiS-Net is the name of his pet project, which is a network of 25 companies from all over Germany. The strategic orientation of BiS-Net has the objective of closing major development gaps, transferring technology and developing integrated value chains. After, all Saxony-Anhalt's research landscape focuses on the requirements of the economy, and not least those of the end customer, when it comes to fuel cells and battery cells from a variety of perspectives... Anhalt University of Applied Sciences, for example, specialises in the field of photovoltaics and measuring the electrochemical storage systems of individual batteries. One of the focal points of the Department of Automation and Informatics at Harz University of Applied Sciences, meanwhile, is research into fuel cells, solar hydrogen storage systems as well as DC drives in the field of power electronics. The researchers at the Fraunhofer Institute for Factory Operation and Automation (IFF) in the capital of the federal state Saxony-Anhalt, Magdeburg, are developing intelligent systems for energy management and designing integrated manufacturing and logistics networks to enable the safe use of volatile forms of energy. Together with the company Krebs and Aulich GmbH, a three-phase bidirectional on-board charging system with mains-based functions for electric vehicles has been developed for the purpose of intelligent power grid relief – initially in a small series batch for its own vehicle fleet. With the limited company ABO Wind, the Fraunhofer IFF is working with regional business partners on concepts for hydrogen-powered vehicle fleets in commercial use. In addition to this, in the form of a cooperation, the Fraunhofer IFF is currently testing one of the biggest mobile electricity storage systems in Germany. The 1-megawatt battery is housed in a container which is the size of a railway wagon, and it may be able to autonomously supply around 100 normal households with power for twenty-four hours. Other major research players in Saxony-Anhalt include the Institute for Competence in AutoMobility – IKAM GmbH and the Otto-von-Guericke University Magdeburg. 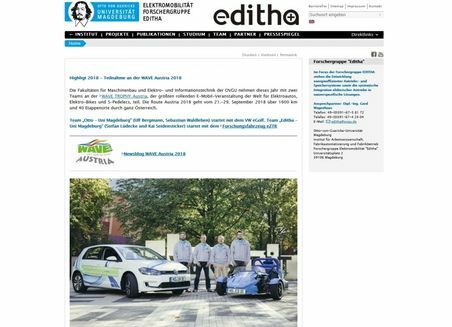 "Editha" – the electric vehicle with the "right focus"